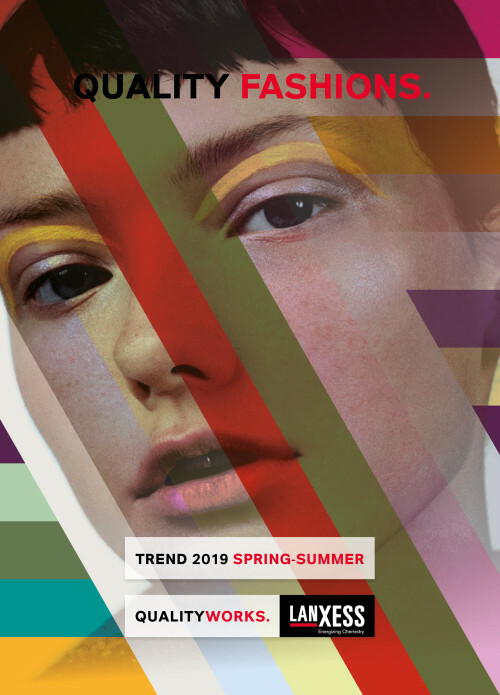 Cologne – Specialty chemicals company LANXESS, a world-leading manufacturer of leather chemicals, is unveiling leather trends for the spring-summer season 2019. The collection presents tanneries with numerous leather samples that reflect the trends in terms of color, structure, haptics and overall appearance. LANXESS’s Leather business unit provides this service twice a year so that leather designers, producers and suppliers can react early to future trends and realize new creative items. Furthermore, tanneries receive relevant formulations and practical advice on processing. This unique mixture of upcoming fashion trends and new technologies as well as innovative chemical products creates significant added value to exclusive fashionable leather products in regard to quality, sustainability and ecology. The colors are subdued and convey a calm feeling after the winter. We see a very subtle pastel color that can be chic depending on what is combined with it. A neutral tone which creates sophisticated environments and combines well with everything. For warm, cozy and very natural environments we see the colors of a paradise island. What color is the sea, what color is the sand? They are of soft blue or a very striking and seductive rose. The senses are awakened. Blues and greens which represent not only spring. Refreshing and calm at the same time, they invite us to breathe deeply, to oxygenate us. The trees are already leafy and the tones are stronger and embody a desire for connection with nature. The green with a more intense, spectral version invites you to think about the tropical and festive spirit. There also appear proposals of reds that are more fashionable than ever in their soft versions, so that they cause an aura of innocence, tranquility and purity. The blue is essential in any of it shades in this season – electric, marine or soft as the blue of a glacier illuminated by the sun. The colors of ripe fruits are presented along with pastel shades in this advanced stage of summer. They will appear in all versions and want to become companions – from candy-colors like lavender, purple to blue. A Mediterranean green is another color that this season could not miss – combined with earth tones. Citric yellow will appear at garments and accessories. The sun is at its highest, the heat embraces us and we feel the positivism and energy of the season. Colors like the orange set intensive accents – mixed with tones of earth or yellow. The color red and its varieties of shades – up to orange and rose – impose a Spanish touch.